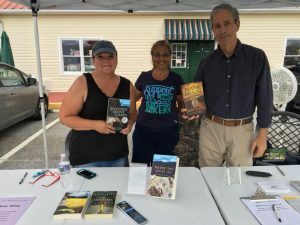 The Book Worm has hosted several fantastic authors over the years. We continue to host authors from all over the country for signings, discussions and readings. We keep our customers updated on all events through our website, our monthly newsletter and our Facebook fanpage. Check in often; we have all kinds of goings on here! 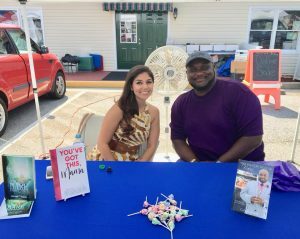 Our Farmers Market will be hosting new and established authors throughout the season. Please check back here for new listing dates to be announced! May 2nd will be opening day for the market! We can’t wait! Here are some previous pics from last year and we have most books available from many of our guest authors! Check back often as we add new authors to the schedule and quite often announce additions a little late as a surprise! 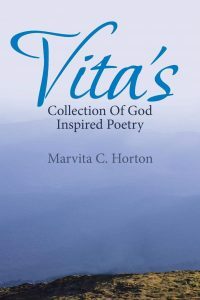 Vita’s Collection of God-Inspired Poetry is a collection of poetry spanning the life of the author from age eight to forty-five. These poems were inspired through joy, sorrow, pain, healing, and self-encouragement. It is a testimony of God’s great love, grace, and favor. 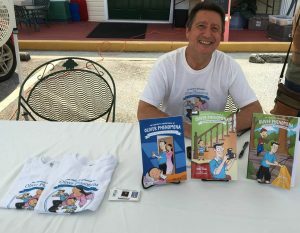 The purpose of this book is to bring peace to the reader, as well as bring awareness to life’s many journeys. This book was written for the readers to look into their own souls and find themselves, and find God. 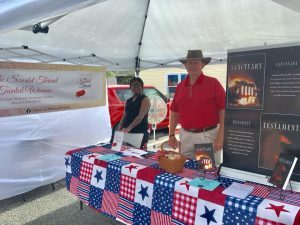 Mark Warren will be visiting with folks, answering questions and signing books at this fun Farmers Market event at The Book Worm in Powder Springs. 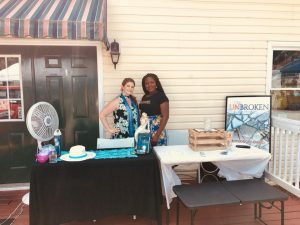 Two authors will be introducing their books! George Weinstein’s 4th book, Aftermath, will be available at the booth. 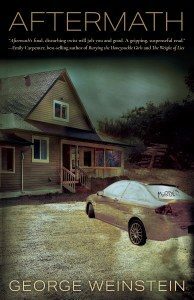 Can Janet Wright complete the deadly puzzle connecting her father, his murder, and a hostile small town? 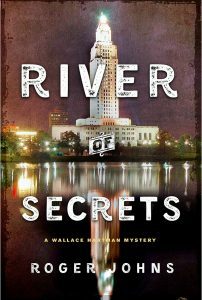 When a controversial politician is murdered in cold blood, Baton Rouge Police Detective Wallace Hartman struggles to find the killer amid conspiracies and corruption in River of Secrets, a gripping new mystery from Roger Johns. Herbert Marioneaux, a Louisiana politician infamous for changing his mind on hot-button issues, has been murdered and his body posed to send a message. Baton Rouge homicide detective Wallace Hartman has to figure out who’s sending that message. DNA points to Eddie Pitkin, a social justice activist who also happens to be the half-brother of Wallace’s childhood best friend. 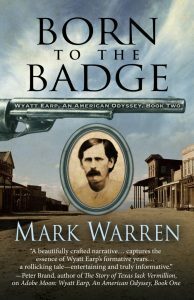 But even with the combative history between Pitkin and Marioneaux, murder seems out of character for Pitkin, whose usual MO is to confront the wealthy and powerful with their inconvenient past. As Wallace digs deeper, she unearths a possible alibi witness, along with evidence of a deeply troubled relationship that points the finger of suspicion at Marioneaux’s son. While Eddie’s supporters are convinced of his innocence, his enemies are equally certain of his guilt. Under pressure from all directions, Wallace pursues her investigation into the dark heart of the political establishment as Baton Rouge falls under the shadow of escalating violence. When it appears a police department insider may be sabotaging her efforts by leaking information about the case, and after menacing messages are left for her and her loved ones, Wallace is forced to untangle a trail of old and disturbing secrets unaided by those she most needs to trust. Always something going on in the store, just keep an eye on our facebook page! We have had a great experience with film crew from Marriage Boot Camp, the Hip-hop edition at our store! 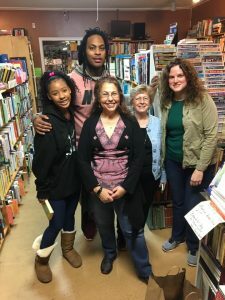 Waka Flocka and his daughter shot a scene in the store as they shared a love of reading and a special father daughter bonding before the wedding renewal of vows episode was filmed! We just got word that the 2 part airing of Waka Wedding episode (Waka & Tina Tie the Knot) is airing on March 21st & @28th. We just can’t wait to see the end results!